Parking is a feature of a lot of phone systems, but we never got round to implementing it becuase frankly the transfer on all the phones we recomend works really well. But recently we received requests from a number of users who need to be able to handle multiple calls at once, more than the transfer feature on even the largest of business phones, and be able to move the calls around the business without always the recipient being able to take the call. Parking allows a call to come in, a message taken and be ‘parked’ allowing the operator to handle the next call efficiently. A personal park call picup rule, when you dial this from your phone, the last call you parked which hasn’t been picked up by anyone else will be reconnected to you. 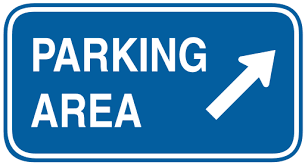 In each domain there is a limit of 90 parking slots (keeping slot numbers as a simple 2 digit number) which should be plenty for even the larger businesses. We are now working on integrating this into babblevoice Desktop to make it even simpler.